A baby sister is on the way! Older siblings will love this board book primer on how to receive their new addition. A baby sister is joining the family! That’s great news, but older siblings may be a bit uncertain. 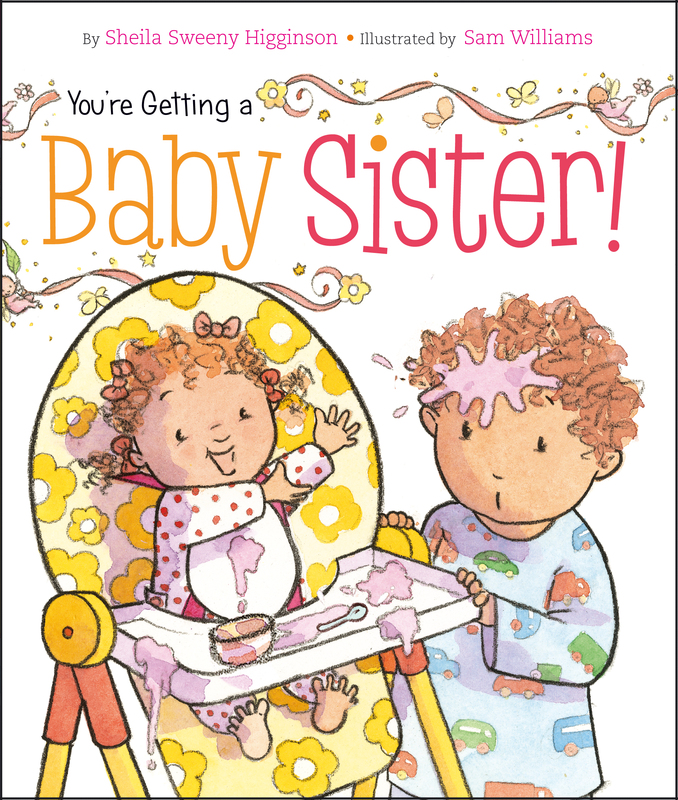 Fortunately for them, this rhyming board book addresses what to expect: “Your sister will drool. She will smell. She will scream. She just might pull your hair. She’ll do things that seem mean.” The text, accompanied by irresistible art from renowned illustrator Sam Williams, also explains how older kids can be role models to their new little sister: “You can be her first teacher. Show her things that you know. Give her patience and love, she’s just starting to grow.” At the back of the book, there’s even designated space for older siblings to write about their new baby sister. With sensitivity and humor, Higginson gives prospective older siblings the scoop on what to expect from the new bundle of joy: “Baby sisters are darling./ Baby sisters are cute./ But don’t let her looks fool you—/ because here is the truth.” Williams’s gentle pastel palette depicts families celebrating the arrival of their baby girls; the expressions on the older siblings’ faces show mixed emotions. Little sisters drool, smell, scream, and break toys (“the ones you love too”), concedes Higginson. But there is a silver lining: “You can be her first teacher—/ show her things that you know./ Give her patience and love—/ she’s just starting to grow.” It’s a pitch-perfect primer that reminds readers of the upsides of being a big brother or sister, without minimizing or trivializing those less-than-wonderful moments. Available simultaneously: You’re Getting a Baby Brother! Book Cover Image (jpg): You're Getting a Baby Sister!